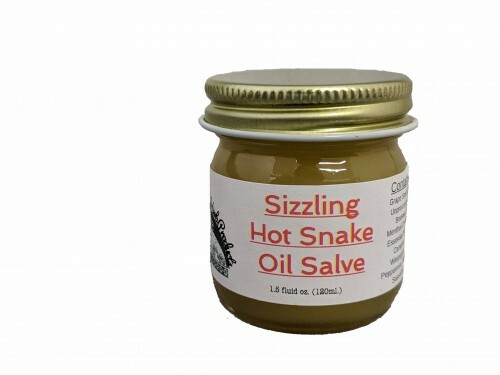 A warming deep penetrating salve. Great for muscular aches and pains and sinus congestion. Contains: Camphor Oil, Wintergreen Oil, Sassafras Oil, Sage, Menthol Crystals, Peppermint Oil in a base of Organic Extra Virgin Olive Oil and unprocessed beeswax.